The yellow veined Kratom comes with enhanced abilities. Those who have used it describe it to have just enough energy potential while its sedating effect to be mellow. 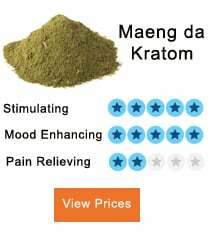 Compared to White Maeng Da kratom, it is more sedating and less energetic. However, there a point to note. The Yellow Maeng Da Kratom does not come naturally. 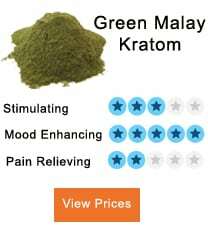 The natural strains found on Kratom leave are three; white, green and red. The Yellow Maeng Da Kratom is achieved through treatment of the leaves to get the yellow strain. Moreover, the procedure does not only result in a new color of strain but also enhanced effects. To be able to establish how it is different from the naturally occurring strain, you better try then and realize you will settle for Yellow Maeng Da Kratom due to its unique and enhanced abilities. One method used to create Yellow Maeng Da Kratom is through fermentation. The fermentation process is what culminates in the leaves changing giving out a different color, aroma, and flavor. Fermentation is achieved by piling up the leaves on top of each other. The process is preferably carried out indoors using some towels or rain to provide moisture. Rain is not advocated much since it can damage the leaves the same as the sun as a source of warmth. The warmth and moisture are responsible for the release of ammonia that results in alkaloid levels to change in the leaf. It takes seven to ten days to achieve. A peer-reviewed journal from Biomedical Research International was published stating the evolution and origin of Kratom. The studies were geared towards establishing the benefits and the possible negative side effects of Kratom. Researchers from the fields of toxicology studied Kratom effects on humans while pharmacologist focused on identification and characterization of it. The range of data was analyzed starting from 2007 to the peak of the success of 2017. These studies established the benefits of Kratom to be mediating stress, immunity, antinociceptive and anorectic agent while at the same time the pro-inflammatory mediator reliefs are inhibited by Kratom. The two differ in several ways. For starters, Classic Maeng Da and is similar to Yellow Maeng Da. The differences are brought about by the enhancement done to achieve Yellow Maeng Da. The enhancement results, in the amplification of the properties during the process. Consequently, the Yellow Maeng Da becomes more beneficial. For instance, it improves mood significantly, and it has a lot of energy. It makes the user energetic, more confident and highly active. Especially when it is taken in the morning, its induces high energy and its effects last longer than Classic Maeng Da. Bearing in mind that Yellow Maeng Da is superior to the other strains, the dosage will not be the same. Even when Yellow Maeng Da is taken on a low dosage, its effects will be felt by the users. At no point should never be advocated for. The dosage should range from low to medium. Taking 2 to 5mg is best for moderately adequate effects. However, keeping the dosage at a minimum range of 1-2mg is when it performs at its best. Preferably, not to have a debate on the dosage, it is better to order from a reputed vendor or predetermine the dosage before placing an order. In as much as its beneficial to the user, the Yellow Maeng Da has negative effects. These unwanted effects are mostly experienced when taking in the wrong way, unusually high dosage. Mostly, when an experienced Kratom user takes the Kratom in abnormal dosage, the possible side effects begin to show. The implication is that, despite it being helpful to the user, there are risks involved. However, those who stick to the dosage are the ones that get a continued enjoyment of the positive benefits of the Yellow Maeng da Kratom or any strain. However, it is imperative to note that all users do not experience the same effects, either positive or negative. The health status, age, previous experience, and the user profile are responsible for determining the effects that the user will get from whatever strain they are taking. Therefore, the user is required to take it in responsible dosage while at the same time no worry about the effects, mainly the positive is not like that of the other person. Those who do not understand this are the ones who might end up increasing the dosage with the intention to achieve the effects met by the next person. It has established that the Yellow Maeng Da kratom does not occur naturally. It is achieved through processes like fermentation. The natural strains they know the white, red and green. The yellow strain is achieved by fermenting the leaves by stack pilling the leaves on top of each other. However, the environment for the process has to be controlled for better results to achieve. Once completed, the result is the Yellow Maeng Da Kratom strain that is different from the Classic Maeng Da Kratoms. It is more potent as the abilities are amplified during fermentation. The effects of it are enhanced, and they improve learning capacity, stress relief, mind-boosting and many more. The side effects brought about by taking high dosages or taking abnormal dosages for those who have been taking it for some time. For safety, the right dosage is from 1-5mg, but the results are better when taken from 1-2mg. A reputable vendor is preferably the best person to buy and request a dosage form. 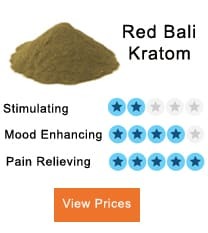 Previous Post Green Dragon Kratom – A Green Variety Next Post Benefits Of Red Vein Kali Kratom.